Raipur was declared as District in 1861.Raipur District is situated in the fertile plains of Chhattisgarh Region. Is the capital city of the state of Chhattisgarh India. It was formerly a part of Madhya Pradesh before the state of Chhattisgarh was formed on 1 November 2000. At the time of the 2011 census, the population within the Municipal Corporation area of Raipur was 1,010,087. Raipur is located near the centre of a large plain, sometimes referred as the "rice bowl of India", where hundreds of varieties of rice are grown. The Mahanadi River flows to the east of the city of Raipur, and the southern side has dense forests. The Maikal Hills rise on the north-west of Raipur; on the north, the land rises and merges with the Chhota Nagpur Plateau, which extends north-east across Jharkhand state. On the south of Raipur lies the Deccan Plateau. Raipur was made civil district in 1917 and first time district and sessions judges started to sit in the Raipur Office. Before this a civil judge was appointed in Raipur on 1886, according to central provinces , civil court act. A new state Chhattisgarh was formed on 01 Nov. 2000, and Raipur was made capital of state. High court was established in Bilaspur , District Court Raipur is working under Hon'ble High Court Chhattisgarh since 01-11-2000. At Present there are 04 outstation courts working under the jurisdiction of District Court Raipur .Namely Gariyaband, Rajim, Deobhog and Tilda. The Family Court Raipur building was inaugurated on 07 may 2004 in presence of Hon'ble Justice of High Court Chhattisgarh. 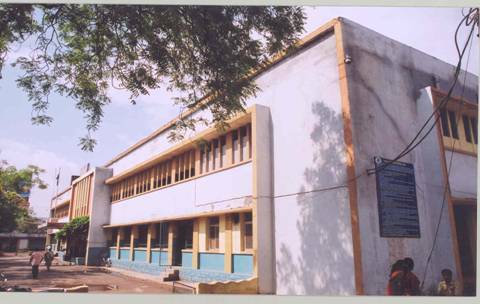 Computer Center was inaugurated on 24 September 2005 by the hand of Hon'ble Mr. Justice Y. K. Sabharwal Judge Supreme Court of India. Video Conferencing room was inaugurated on 04 September 2007 by Hon'ble Mr. Justice S. B. Sinha Judge Supreme court of India, Hon'ble Mr. Justice R. V. Ravindran Judge Supreme Court of India, Hon'ble Mr. Justice Jagdish Bhalla Chief Justice High Court of Chhattisgarh. Recently on 10th of May 2013 foundation stone was laid by Hon'ble Mr. Justice Satish K. Agnihotri Judge High Court of Chhattisgarh for the construction of extension building of District Court Raipur. Construction is under progress.